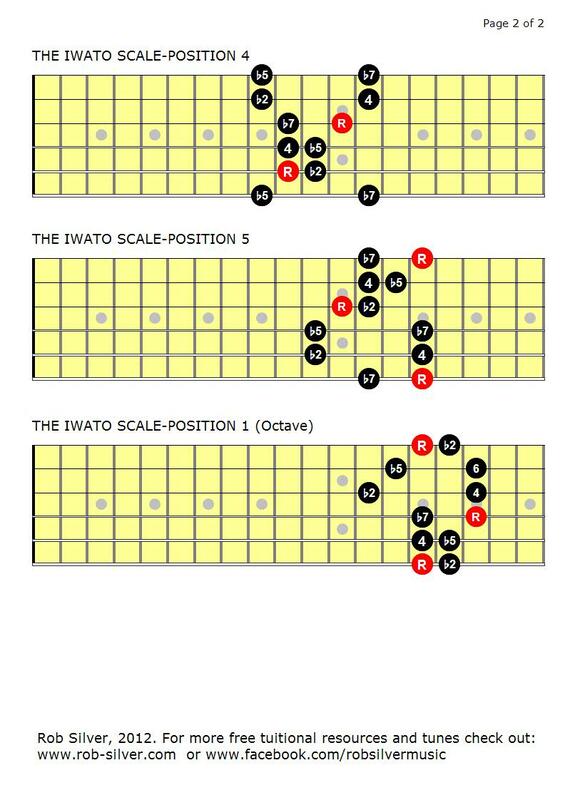 THE IWATO SCALE is a 5 note/tone scale and contains the intevals: 1,b2,4,b5,b7. Essentially The Locrian Mode with no 3rd or 6th. 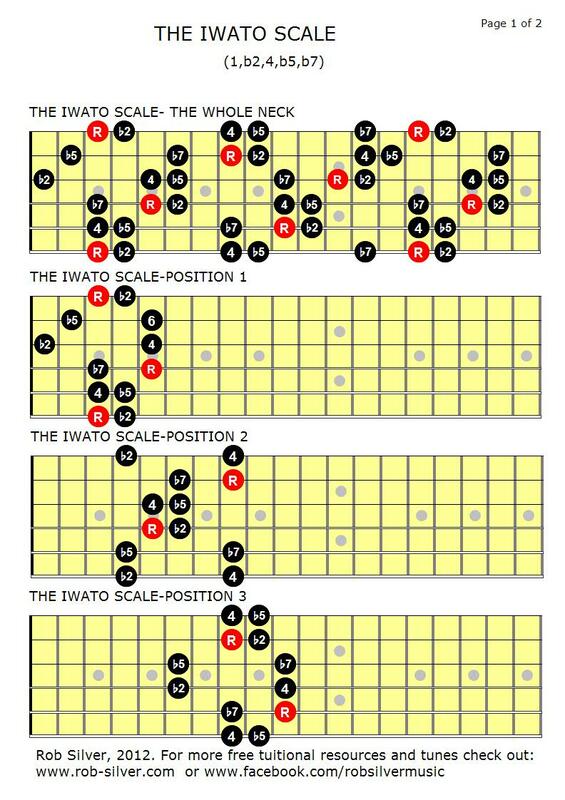 The free guitar scale diagrams below lay out THE IWATO SCALE for you all over the neck and as the five interlocking positions that link together to let you play the scale any where on the neck in any key. It also has 4 other modes that I will consider later.